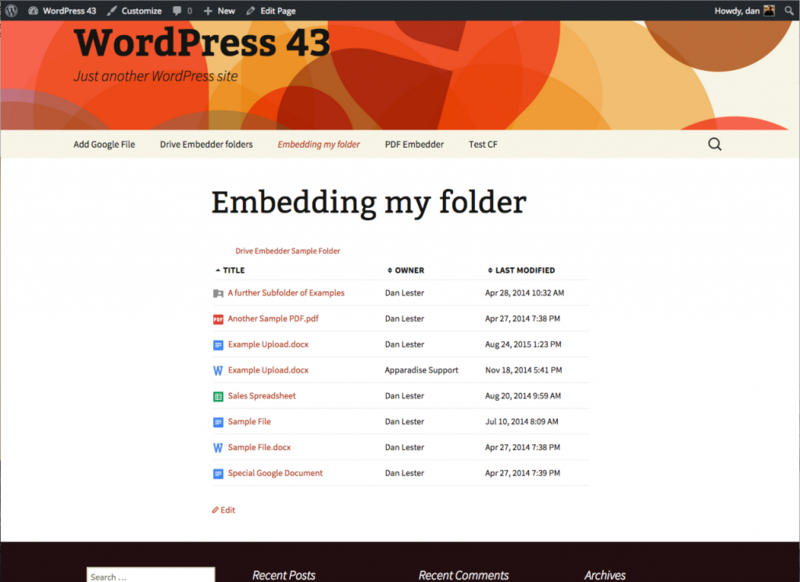 Display files through embedded viewers, or link to open or download. Supports many file types. Already powers thousands of intranets! 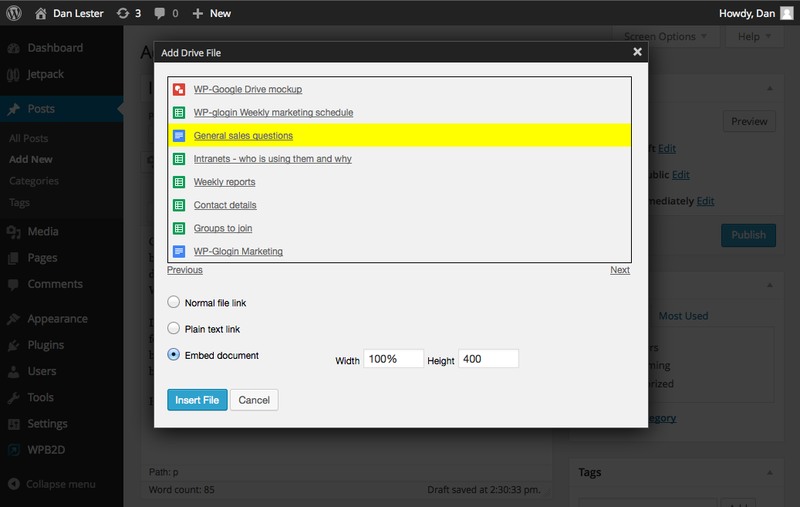 Google Drive is a versatile way to store files and share with others, while your WordPress site is clearer and better structured for sharing more focused information. 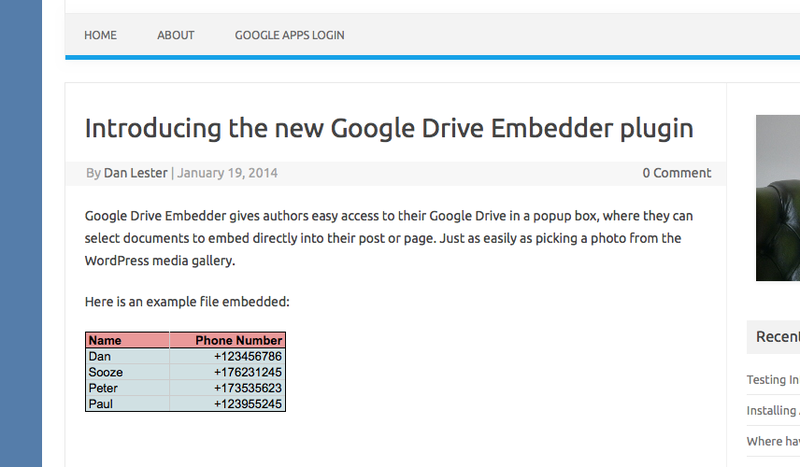 Thousands of organizations use our Drive Embedder plugin to tie the two together seamlessly. The IT department can harness the power and flexibility of Google Drive while users remain comfortably within their familiar intranet environment. 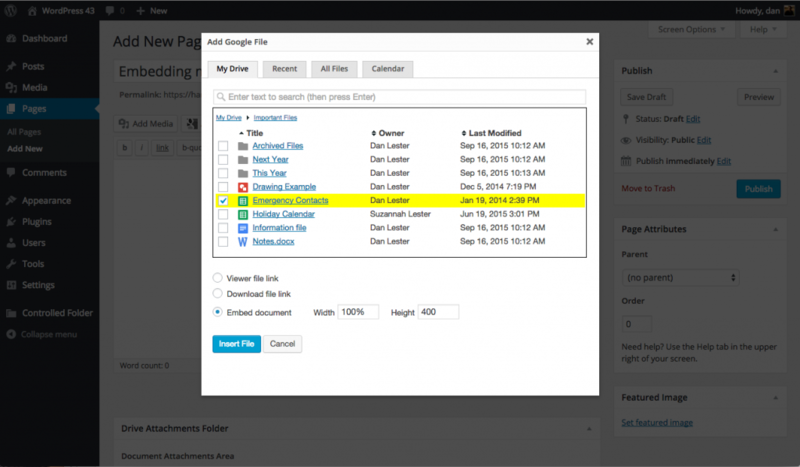 The plugin completely eliminated the time-consuming step of uploading and curating content in WordPress as well as Drive. Responsibility for content is back in the hands of its creator! The Drive plugin requires a free or paid version of Google Apps Login – extending the configuration of the Login plugin so your WordPress site appears as only one item in your G Suite (Google Apps) domain’s security panel. 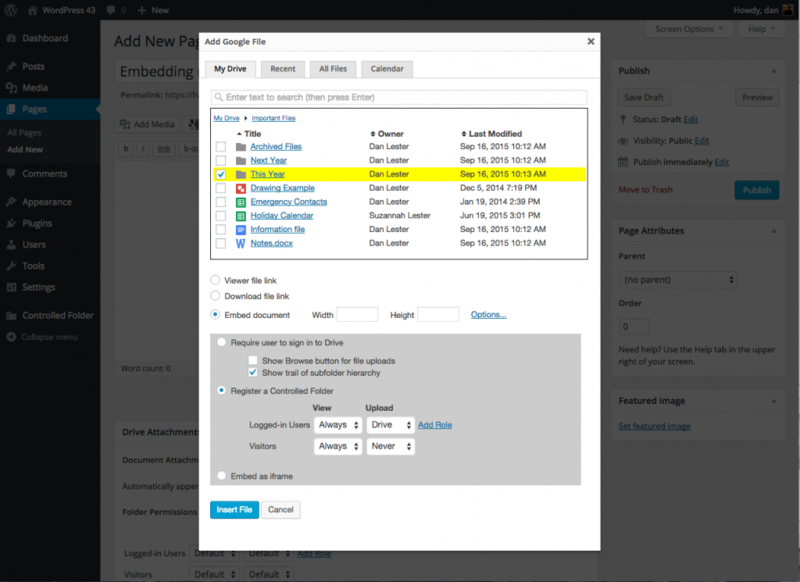 One license allows you to use the software on a single WordPress site indefinitely, and includes email support and automatic updates for one year. See our documentation for FAQs and to find out how it works. Premium licenses are priced only on the number of WordPress sites where it will be installed. The Enterprise license cost also depends on the number of users on your G Suite (Google Apps) domain. Enterprise folders either require users to have their own Google account, or for the site admin to have a G Suite Google account (not a regular Gmail.com account). 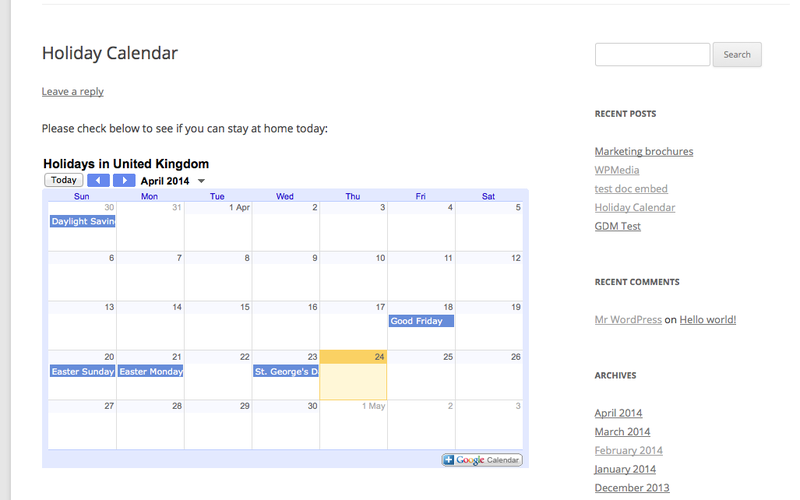 The free version is available in the WordPress Plugin directory. Find out more about licensing for the Premium and Enterprise versions. We offer educational and non-profit discounts. We stand behind the quality of our plugin, and believe that you will be fully satisfied. If for any reason you are not fully satisfied, we offer a 14 day, no-hassle, money-back guarantee.